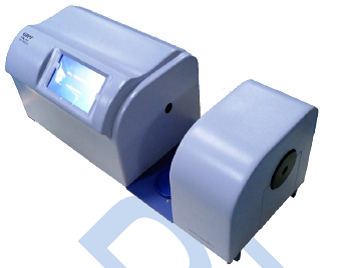 Light Transmittance and Haze Tester is best suitable instrument for evaluation of light transmitting and light scattering properties of transparent materials. It is specially designed for evaluation of light transmitting and light scattering properties based on Procedure-A of ASTM D1003 by using Haze meter for more accurate results. Measurement of Transparency is important because a material needs to be more or less transparent depending on its practical usage, e.g. a grocery bag needs the light to be more diffused so that less can be seen while food packaging film needs the light to be less diffused so that the contents can be seen clearly. For reasons such as these haze meters are necessary to determine which material is needed for which practical purposes. Light Transmittance and Haze Tester is used to measure the light transmittance and haze degree of all transparent and semi-transparent parallel plane samples (plastic plate, sheets etc), and turbidity or clarity of liquid samples (water, drinks etc), used in the industries of plastics, membrane, coatings and paints, printing ink, research institute and so on. Total transmittance is the measure of the total incident light compared to the light that is actually transmitted (e.g. total transmittance). So the incident light may be 100%, but because of absorption and reflection the total transmittance may only be 94%. The data gained from the haze meter can be transferred to a computer for further data processing and results are analyzed to ensure a consistent product quality and control of manufacturing process variables.